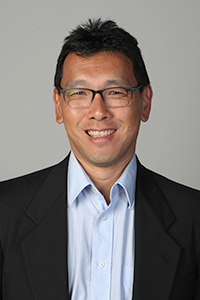 Dr. Jerry Park is an associate professor of sociology and an affiliate fellow of the Baylor Institute for Studies of Religion. He graduated from the University of Virginia with a psychology degree and earned his masters and Ph.D. degrees from the University of Notre Dame. His research interests include the sociological study of religion, race, identity, culture and civic participation. Recent publications have covered topics such as religion and workplace attitudes, religious attitudes of academic scientists, Asian-American religiosity and religious media consumption. Currently his research focuses on attitudes toward racial and religious minorities. His undergraduate teaching is in the sociology of racial and ethnic inequalities and at the graduate level, he teaches a seminar on the sociology of culture and religion, and the sociology of race, gender, and religion. He serves as associate editor for the Journal for the Scientific Study of Religion and is an editorial board member for Social Psychology Quarterly. Brian Steensland, Robert D. Woodberry, and Jerry Z. Park. 2018. "Structure, Placement, and the Quest for Unidimensional Purity in Typologies of American Denominations." Journal for the Scientific Study of Religion 57(4):800-806. Jerry Z. Park and Kenneth Vaughan. 2018. "Sacred Ethnic Boundaries: Korean American Religions." Ch. 16 p. 383-417 in A Companion to Korean American Studies, Editen by Rachael Miyung Joo and Shelley Sang-Hee Lee. Joseph Yi, Gowoon Jung, Saul Serna Segura, Joe Phillips & Jerry Z. Park. 2018. "Gay Seouls: Expanding Religious Spaces for Non-Heterosexuals in South Korea." Journal of Homosexuality 65(11): 1457-1483. Jerry Z. Park and James C. Davidson. 2017. "Studying Religion in the Age of Trump." Religion and American Culture journal 27:36-43. Jerry Z. Park, Kevin D. Dougherty, and Mitchell J Neubert. 2016. "Work, Occupation, and Entrepreneurship." In David Yamane Handbook of Religion and Society (29-46). Springer. Dr. Park's Full Curriculum Vitae.